We’re currently recruiting for immigration legal associates to join our immigration team. This is an exciting opportunity for suitably qualified and experienced graduates looking to gain or further experience of UK immigration law and the modern immigration bar. Richmond Chambers LLP is an award-winning partnership of specialist immigration barristers. 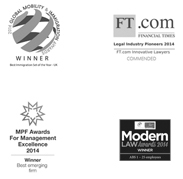 Established in 2013 as the first barrister-only immigration law firm, our barristers specialise in all aspects of personal and business immigration law, including investment migration, family migration, skilled migration, sponsor licensing and compliance, EEA free movement, nationality law and human rights. Our clients include private individuals and corporates, both within the UK and overseas. We undertake the full range of privately funded immigration work, from preparing initial applications to the Home Office through to administrative reviews, appeals and judicial reviews before the immigration tribunals and higher courts. All our barristers share a core commitment to providing high quality immigration law advice and representation directly to members of the public. Chambers currently has 15 barrister members and 2 pupils, supported by a team of legal associates and business services professionals. As a legal associate, you will work closely with, and in support of, our immigration barristers, assisting with visa applications, immigration appeals and judicial reviews across all areas of personal and business immigration law, including on cases involving complex and novel points of law. This will be a hands on role where you will shadow and support our immigration barristers with their casework under supervision. Your responsibilities will include: liaising with potential new clients, attending clients, taking instructions, completing application and appeal forms, preparing application and appeal bundles, drafting correspondence and legal representations and attending visa application appointments and appeal hearings. Our focus on direct access immigration work means that you will have a high level of client contact and responsibility from day one. You will be expected to keep up-to-date with changes to immigration law and policy. This role will develop and challenge you, providing you with a wealth of hands-on experience working alongside some of the UK’s leading immigration barristers in an innovative immigration law firm. Chambers offers a friendly and supportive working environment. Our legal associates receive excellent training from both the barristers that they work alongside and through attending in-house and external training courses. Our legal associates are eligible to apply for pupillage and have previously been successful in our open pupillage competitions. However, employment as a legal associate does not guarantee an offer of pupillage. We do not offer training contracts, but our legal associates have gone on to secure positions within leading solicitor firms based on experience gained with us. Strong IT skills, including experience of Apple computers and cloud-based technology platforms. IAAS Level 1 or Level 2 accreditation. Access to a benefits in kind scheme. Applications should be made by completing our Legal Associate Application Form and Equality & Diversity Monitoring Form. The completed forms should be emailed to our HR Manager, Nancy Holland (nancy.holland@richmondchambers.com). All applications will be treated in the strictest of confidence. Applicants are encouraged to read our Legal Associate Selection Criteria before applying. The closing date for applications is 5pm on Thursday, 31 January 2019, but applicants are encouraged to apply early as promising candidates will be invited for interview sooner. If you do not hear from us within 14 days then you may assume that your application has not been successful. Due to the high number of applications that we receive it will not be possible to provide individual feedback. Richmond Chambers LLP is an equal opportunities employer and complies with both the SRA and BSB equality and diversity guidelines.